CRM software has been around for years, but now it’s taking on a much more important, and mainstream, role in businesses of all sizes. Anyone can benefit from CRM software because the point of it is to organize customer data in a way that can improve customer experience, generate sales, and personalize every customer interaction to ensure they come back. Previously, CRM required an expensive on-premise solution, but now with the cloud, any business can utilize these platforms. Large businesses and enterprises took advantage of developing their own CRM to cater to their own needs, but that came with significant costs that no one else could afford. Cloud-based CRM is playing a more important role in business today because it’s accessible to businesses of all sizes and adaptable to any business’ changing needs. To help your business make the right decision, we believe it’s imperative to break down what cloud-based CRM software is, why it’s important, and how your business can use it effectively because cloud-based CRM software is continuing to evolve for the better, and the faster your business embraces it, the better. Let’s dive in. What is Cloud-based CRM Software? 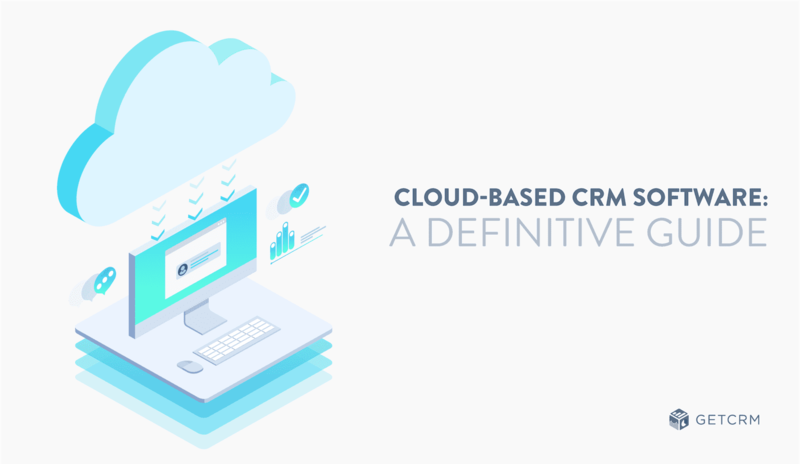 We think it’s important to have a working definition of what cloud-based CRM software is before we go any further. Cloud-based CRM software is simply CRM software that is hosted in the cloud, meaning collected customer data is stored and accessed by businesses via the internet. This means that your business doesn’t have to worry about data management and storage, or paying for individual licenses for multiple devices. All of this heavy lifting is handled by the CRM provider, so your business simply gains access to an easy to use solution. Cloud-based CRM software can do everything on-premise CRM software can, but it’s more adaptable to your business’ needs, it’s more cost-effective in the long run, it’s easily accessible, and it’s more secure, which is a significant issue businesses today are constantly trying to resolve. On-premise CRM is much more costly upfront and in the long-term because they require an IT team to install and maintain business-specific software and hardware. This is simply not an option for most small businesses and startups. On-premise CRM could potentially give larger businesses/enterprises more control over what features are used and what works best for them, but what works best for the company as a whole might not work best for every agent. CRM software is no longer a tool exclusive to those who can afford it. Some big-time companies like Zoho, Hubspot, Freshsales, Insightly, and Sugar CRM offer their customers free CRM software solutions. These solutions are all cloud-based, which makes them more accessible to small businesses who want to take advantage of the benefits CRM software offers, like unlimited storage, customer profiles, phone and social media integrations, professional templates, and various automations. These features generally required extra overhead, and used to only be accessible to businesses who could pay for them, but that’s no longer the case. Cost no longer plays a role in determining whether or not CRM software is right for your business. Licensing Not Required Required for servers, client access (user and device CALs), full and light users, etc. To put it bluntly: Cloud-based CRM software is better than on-premise in almost every way imaginable. This is why it’s hard to find any information online about on-premise CRM solutions. It’s simply being phased out. These eight benefits will explain why. Cloud-based CRM software providers go out of their way to prioritize user experience because they understand the difficulty for agents to learn new systems. When agents are reluctant to embrace a new system, they don’t use it to its fullest potential. Cloud-based CRM providers offer click-and-drag features to help users build personalized email templates, they offer interactive dashboards and reports for agents to analyze significant customer data, and they offer helpdesk options to customers. Cloud-based CRM software also offers businesses the ability to gain full access to the software on their own, from anywhere in or out of the office. On-premise CRM software can only be accessed at the office, which eliminates the possibility of agents working from home or pulling up data on the spot in an important meeting. Mobility is imperative because much of the day is spent outside the office for sales agents and managers. If they’re in a meeting with a customer, and the customer asks to see the latest reports regarding the growth of the company, it’s now possible to access that information quickly, which could also make or break an important sale. Everything is done through the internet, which means the cloud-based CRM provider is responsible for making sure your software is running as smoothly as possible. There is no longer a need for businesses to hire an IT team to set up and maintain a CRM system, or data servers to host the bundles of information. Customer data is stored in the cloud, which can be easily accessed by anyone in the office, and all the reports, customer profiles, contact info, and analytics acquired can be shared through third-party integrations. Instead of paying a fortune for new equipment or software licenses, all your agents need is an internet connection and an internet browser. Because of the fact that there’s no need for an IT team, costs remain low because your business doesn’t have to hire one or more IT agents to install and maintain your CRM software. Most plans are also customizable to fit your business’ needs, so you don’t have to pay for all the features you would never use. If something goes wrong, which does occasionally happen, it’s not up to you to put your own money towards a solution. Cloud-based CRM providers are responsible for ensuring their software runs smoothly. Paying to store data in the cloud is often less expensive than setting up your own storage system which requires hard drives and regular maintenance. When you purchase cloud-based CRM software, it’s often possible to lower the cost by purchasing more economical plans or customizing your own plan to fit your business’ actual needs. For example, if your business has only 10 agents, then there’s no need to upgrade to a plan for fifty agents. Some businesses might see call recording as a must have, while others see it just as an extra cost. Being given the option to choose what features you want based on your business’ needs is important because it helps lead to more positive user experiences for your sales and marketing teams. If they are given software that will actually help make their lives easier at work, they will be more likely to embrace the software. Cloud-based CRM software is stored in the cloud, which might seem more vulnerable to cyberattacks because the data is out of your business’ hands, but the cloud is a secure place to store data, which can be backed up and restored if lost. Providers often offer SSL encryptions and follow HIPAA regulations so businesses can tell their customers that their data is safe. Customers are reluctant in today’s trust economy to give away their personal info to businesses, so being able to tell them that their data is safe and not being used in a sketchy way will improve customer experience significantly. 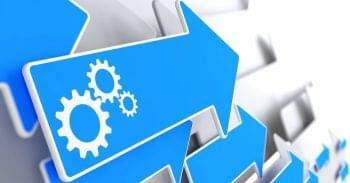 Reliability is also an important aspect to cloud-based CRM software. If something goes wrong with the servers at the office, it would be impossible to use on-premise CRM software; however, with cloud-based CRM software, users only need to be connected to the internet. Since the solution is hosted by the provider on their own data centers, your business can have peace of mind knowing that the platform is generally backed with redundant servers so that if anything does go wrong, business can still operate as usual. The internet isn’t always perfect, so if the internet goes down and your business loses important customer data, it’s never totally lost because it’s automatically backed up in the cloud. Providers also offer service uptime guarantees and can often negotiate in Service Level Agreements to help ensure your paid for service stays as reliable as possible. Integrations allow us to connect two otherwise separate pieces of software, saving crucial time and simplifying our routine tasks. CRM platforms are capable of integrating with social media, phone systems, email solutions and even other business apps like Slack or Trello. Cloud solutions specifically allow for super simple integrations through the use of APIs or SDKs, instead of requiring an IT team to completely build a new piece of software from scratch, or attempt to modify a clouse source on-premise option. Third-party integrations are absolutely essential to cloud-based CRM software because they often make the software significantly more powerful and adaptive to your business’ needs. Social media, phone, and email integrations all come with cloud-based CRM software, which also helps to bring costs down. There are all different kinds of integrations that make cloud-based CRM software more effective, which is why they get their own dedicated section. We’ve already written an entire article based on essential integrations, but we’re going to break them down even further. Social media integrations are imperative in today’s trust economy because more people are using social media to make purchases and reach out to businesses when they need help than ever before. These integrations allow your agents to connect social media feeds directly into their CRM dashboard to always stay on top of the latest posts and cries for help. When your business’ CRM software is already online, it makes integrating with third-party websites like Facebook, Twitter, Instagram, Pinterest, and LinkedIn easier because it doesn’t require any effort on the user’s end, installing software, or developing code from scratch. Email Marketing software like MailChimp is also important because email marketing campaigns are extremely useful for businesses interested in reaching out to their customers across multiple channels. Reaching out via email is essential because so many people make purchases online — especially around the holidays. Since we already check our email regularly, and we’re going to continue making purchases online, a great way to use cloud-based CRM software is by taking advantage of their built-in email marketing integrations. Integrating your business VoIP service into your CRM platform empowers your agents in a completely new way. With the two solutions integrated together, agents can make and receive phone calls, put callers on hold, transfer calls, and utilize other call controls without leaving the CRM platform. This saves agents crucial time, and allows them to always have their customer data and phone controls front and center when it’s needed most, like in the middle of an important phone call with customers or the team. Everyone uses gmail. Even those who have CRM software. Because Gmail is so common, it makes sense for cloud-based CRM software to include Gmail integrations. Again, data exists online, so transferring customer data and accessing it is easier and cheaper. Integrating Gmail into your CRM allows agents to stay on top of the latest email queries from customers. Cloud solutions simply make integrations much easier with the power of APIs. On-premise CRM software can work with Gmail, provided the software is designed to beforehand. Or your business might be forced to keep them separate, which is fine, but if the option to integrate them seamlessly is there, why not take it? Cloud-based CRM solutions can also integrate with other CRM software features, like marketing tools or workforce management solutions. Let’s say your business uses Zoho, but you feel you need better customer support options. Zoho offers integrations that will allow you to offer your customers multichannel support options. The idea is that you can expand your CRM solution beyond its basic functions to meet the needs of your business. The extra data collected from other CRM software products will also be stored in the cloud, which makes everything more secure and accessible. User experience is a top priority because when agents have the right tools at their disposal, they can provide customers with a better customer experience. There’s nothing inherently wrong with on-premise CRM software, but cloud-based CRM software offers businesses much more in terms of reliability, cost, security, scalability, and accessibility, regardless of the size of your business. Cloud based CRM software for small business is extremely beneficial. Costs remain low, plans can be scalable depending on how much you’re willing to spend and what features your business actually needs, and the need for a dedicated IT team is non-existent. SMBs don’t have the space or funds to develop their own CRM system that fits their specific needs. Fortunately, cloud-based CRM software providers understand what SMBs need, and businesses have tons of options to choose from. Cloud-based CRM solutions integrate with a significant amount of third-party applications and software like Gmail, Microsoft, and other email marketing solutions. This makes it possible to keep the systems you already have in place, which helps your sales and marketing teams transition smoother into the new solution. The entire platform’s also backed up and stored in the cloud, which can dramatically cut costs. Are you a small business or start up? If yes, you will cut costs significantly, you won’t need an IT team, you don’t have to worry about storage for all your data, and you don’t need to host expensive data centers to handle the platform. All technical aspects of CRM software are out of your hands. Does your business run primarily online? If yes, it makes sense to store your data online as well. There’s no need to purchase hardware or software that would only work in a traditional office setting if your business isn’t a traditional brick-and-mortar establishment. If yes, and you and your team find yourselves outside the office frequently, whether in meetings or working from home, data needs to be accessible. On-premise CRM solutions don’t typically offer mobility options, which gives the edge to cloud-based CRM software, especially for small businesses. Do you want a secure and reliable network? You do. Sorry, but this is non-negotiable. Cloud-based CRM software typically offers businesses SSL encryptions and follows HIPAA protocols, which means customer data stays private. This is essential in today’s trust economy where hacking is a serious issue. Can you fix any technical problems that inevitably arise? Even if you could, why would you want to waste your time on technical issues when you can be focusing on more important matters like figuring out how to increase sales and revenue? Cloud-based CRM software providers handle all the technical work, and offer businesses powerful customer support options for smaller, more manageable issues. We’ve mentioned costs a number of times already, but we haven’t actually covered them yet. Here, we’ll give you a small sample of what some of your options are. If you want to see other examples of powerful, cloud-based CRM software providers, check out our CRM Software Buyer’s Guide. wants to purchase additional add-ons. Start managing your sales and projects more effectively. Capture leads and contacts from webforms, Gmail and Outlook. Connect QuickBooks Online or Xero. Segment, communicate and monitor outreach efforts. 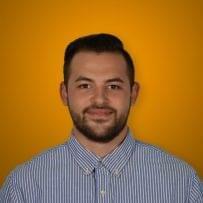 Schedule emails to contacts and leads. With up to 100 email templates and email tracking, you’ll have all the right tools to optimize your message. Leap forward in productivity and security. Automate processes with workflows and lead assignment rules. Keep teams focused and protect data with advanced permissions. Contact sales team to discuss how Insightly can give you the best deal for the features and limits you need. Cloud-based CRM software is taking over the business world for good reason. It’s a reliable, secure, and adaptable option for businesses of all sizes that comes at a low cost. It’s easy to install, easy to maintain, and easy to access, compared to on-premise CRM software, which is built for a specific business’ needs. What makes cloud-based CRM software stand out is the fact that makes CRM software more accessible to businesses who can’t afford to hire IT teams and developers; however, SMBs and large enterprises can both take advantage of the benefits cloud-based CRM software offers.